The cost to maintain this condenser would have been about £50. The cost to replace the compressor because it wasn't maintained was £450! So how cost effective is a maintenance plan? Well, this business had to pay to replace the compressor and were without their equipment for a week! This could all have been avoided if a maintenance plan had been in place. 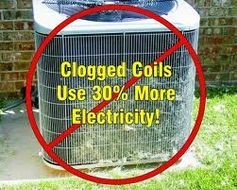 Also, with soaring electricity prices, you really don't need to add to your bills with equipment that is clogged up and over working in order to maintain its temperature as this costs you more to run! 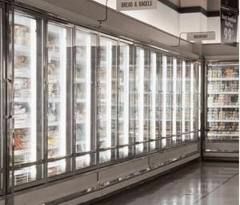 Commercial Refrigeration Services Ltd has maintenance plans for all budgets and requirements, large and small. We offer individually tailored solutions, and provide a competitively priced maintenance service covering the whole of Central Scotland. So whatever your requirements, call us today on 0800 023 6641 to find out more! With fines of up to £5,000 for non-compliance it is the responsibility of the operator to ensure compliance with EC F-Gas regulations, as your refrigeration contractor. At Commercial Refrigeration Services Ltd, we can add compliance visits in to your maintenance contract and take care of this for you. This only applies to equipment with 3kg or more of refrigerant – we will keep you advised if this is required by you or not. By having your air conditioning and refrigeration equipment regularly maintained, you can hopefully prevent a failure when you need the equipment most. And it is highly cost effective. With our maintenance service, all travel and labour charges are free – all you pay for are any parts we use. Please contact us to get a quote or arrange a free site visit by calling FREEPHONE 0800 023 6641.